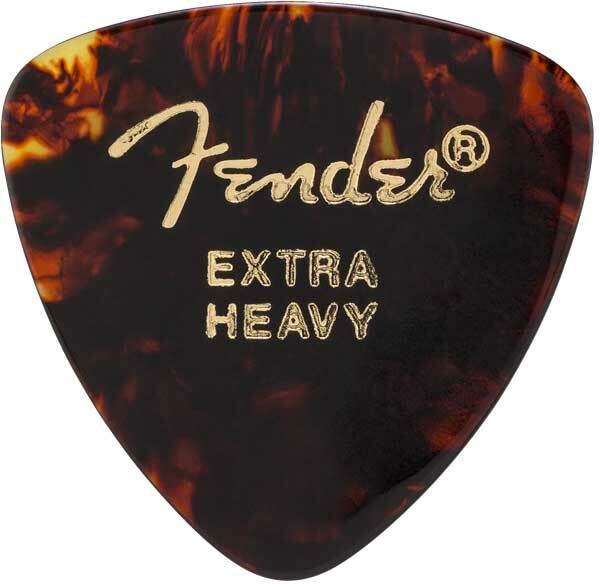 The runner-up - Fender 346 picks, the second bestselling type, have three playing edgesinstead of just one. When one side wears down, just switch to another one! Its bigger body produces a bigger, rounded and smooth tone. Celluloid is the premier pick material. Celluloid picks give the traditional feel, with a smooth striking surface and a warm, round musical tone.